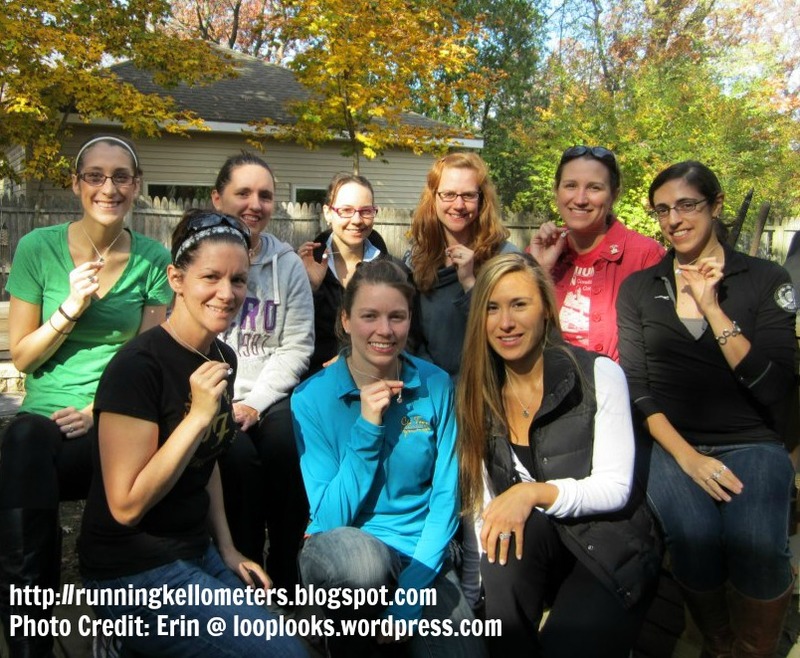 Running Kellometers: ZOMG Meeting Ppl IRL! It is crazy to think sometimes how social media and blogging have changed the way we communicate with other people. Through blogging, I have met so many wonderful people. It is so nice to meet someone in person, to find out they are the same online as they are in real life. During the Chicago Marathon weekend, I got the chance to meet two people that I've only spoken with on Twitter or through blog comments. When meeting them in person for the first time, it was like we already knew so much about each other. Danielle @ Oh Breathe, Just Breathe and I were pregnant at the same time, delivered a few months apart from each other but she lives in Maine and I live in Illinois. 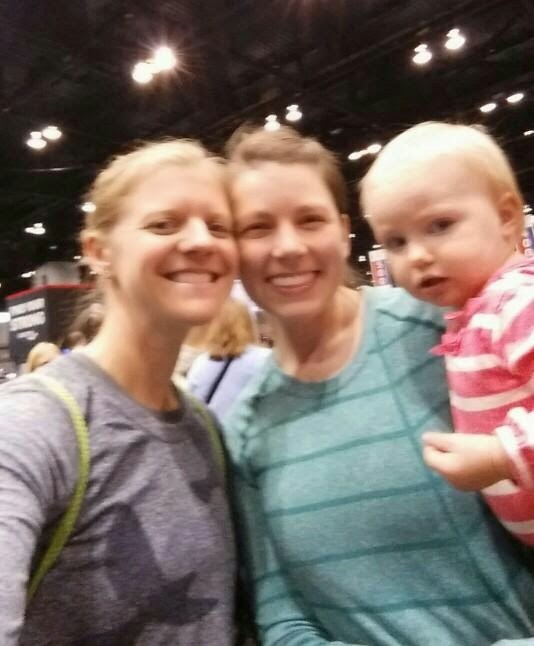 When I heard she was running the Chicago Marathon, we had to meet up to at least say hi… which we did! Danielle is no newbie to the marathon distance and she was an absolute rockstar during the Chicago race (and qualified for Boston)! To see adorable photos of her little toddler, Henry, and hear about her training in Maine, check out her blog. Michelle @ Crazy Running Legs has 3 kids and was pregnant with her third as I was pregnant with Patsy. We delivered our babies a few months apart and she is a fellow working and breastfeeding mom. I was so glad when I discovered her blog because I could relate to so many things she discussed. (I always love when I come across a new blog like that. It doesn't happen very often.) 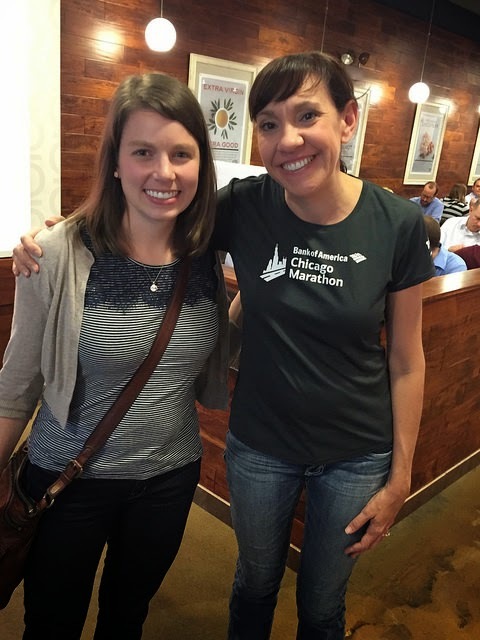 When I heard she was coming to Chicago with her family for the marathon, I was excited to meet her and her brood in person. I was hoping for Patsy to meet her little guy, but the timing didn't work out that way… BUT we did still get to meet up and have lunch together the day after the marathon. She was so easy to talk to and very genuine. If you haven’t checked out her blog yet, you should! Maggie @ Mag Mile Runner is probably one of my oldest and closest friends from the internet. I don’t know if I've ever explained the story of how we met but it is kind of a funny one. I happened upon her blog once I started to research into the world of running blogs. I found out she was local and was part of the same running club. We kept missing each other at group runs so we questioned whether the other person actually existed. Haha. When we finally met in person, we already knew so much about each other and instantly became friends. Before having Patsy, we had a fun little rivalry at local races as we were in the same age group. Life has changed a bit since then but we still try to make time to hang out or go out to lunch in the city. (And we still need to grab those donut milkshakes!) You can see more about what Maggie’s up to on her blog. She’s also the moderator of the Chicago Running Blogger website. 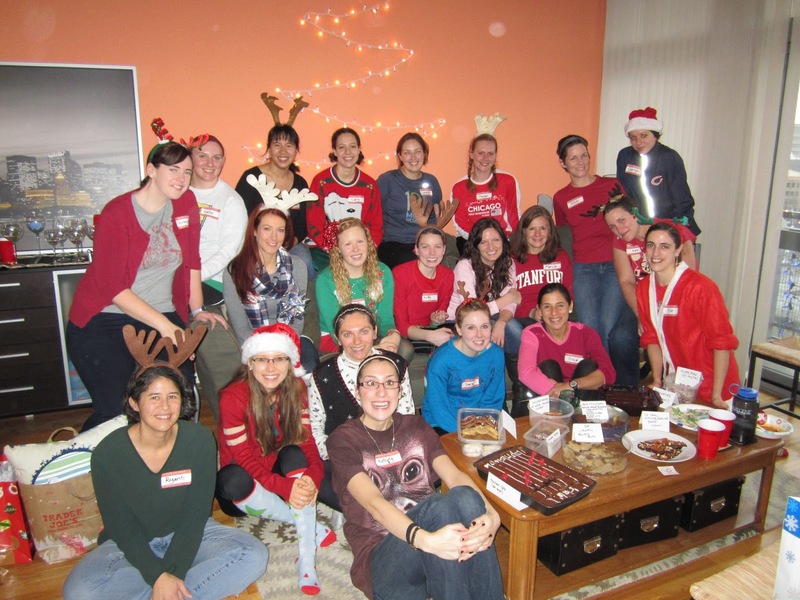 The organization and collaboration on the site has brought me together to meet so many other great running bloggers in the area! We've had so many fun events together and everyone was so supportive. 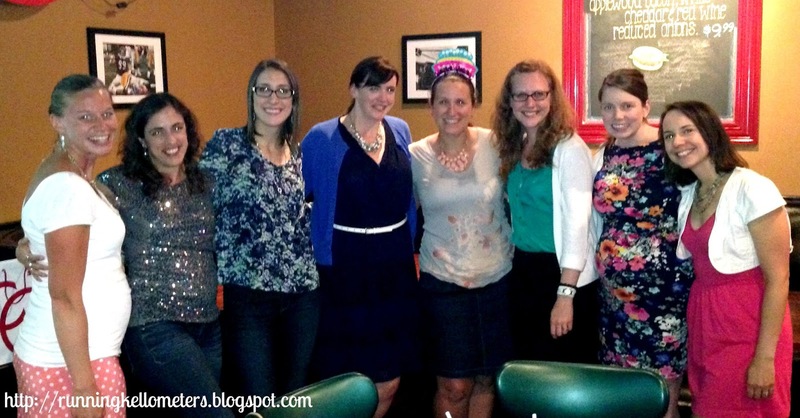 These are just a few of the people I've met through blogging over the years. There are still so many wonderful people that I've met that I hope to talk about at a later date! Have you met some wonderful people on the internet? Have you met some people that seemed like the exact opposite of their "internet persona"? The first time we met was hilarious. To me, at least. I was like "OMG KELLY IS HERE!!!!! YOU DO EXIST!" And I'm pretty sure I hugged you. Haha, gotta include the tween acronyms! YES! I just remembered I wanted to use the pic from the first time we met instead of the donut milkshake one. That's alright. And yes, we did hug. Instafriendsies!